Home > 2016 Richard Evans Award Goes to Sherbrooke's M.U.R.I.R.S. The Richard Evans Award is presented annually by the Quebec Anglophone Heritage Network (QAHN) to an organization or group of volunteers who, collectively, have contributed to preserving or promoting their community history, including some aspect of Quebec’s Anglophone heritage. 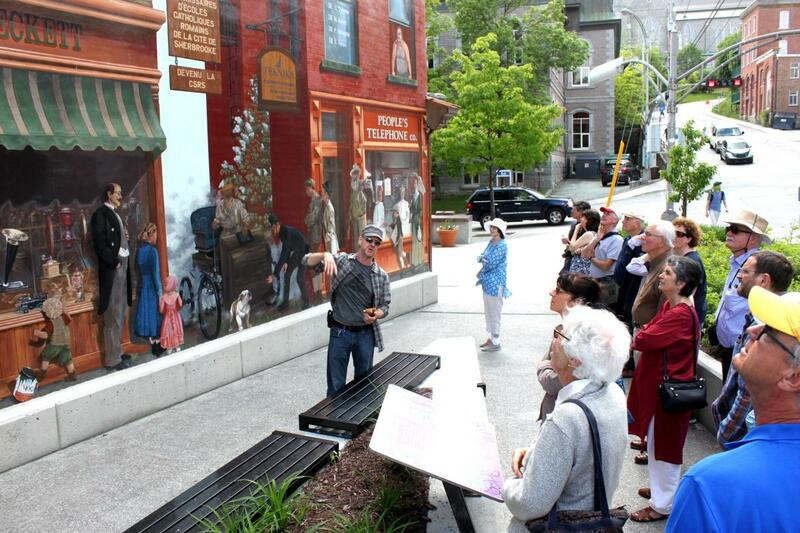 This year, QAHN is pleased to announce that the 2016 Richard Evans Award has gone to the Sherbrooke-based not-for-profit organization Murales Urbaines à Revitalisation d’Immeubles et de Réconciliation Sociale (MURIRS). 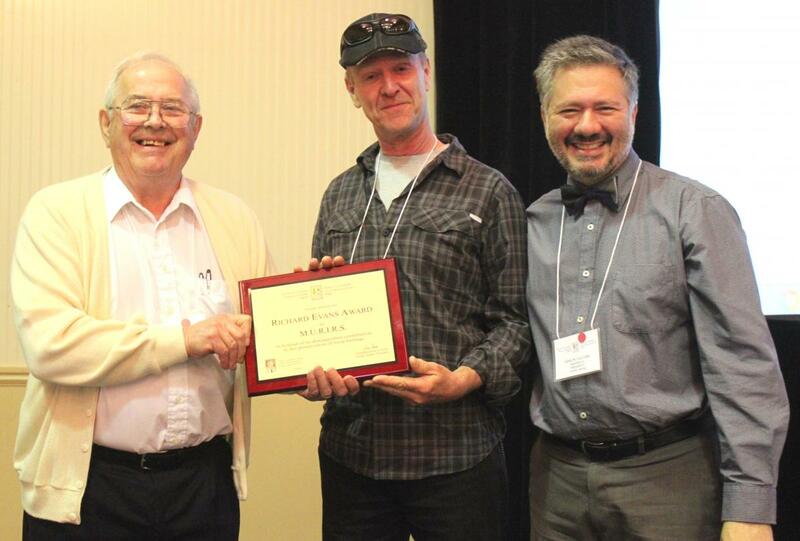 T he 2016 Richard Evans Award was presented during the 16th annual convention of the Quebec Anglophone Heritage Network, which was held this year in Sherbrooke. Accepting the award on behalf of M.U.R.I.R.S. was Serge Malenfant, the organization's founder and president. 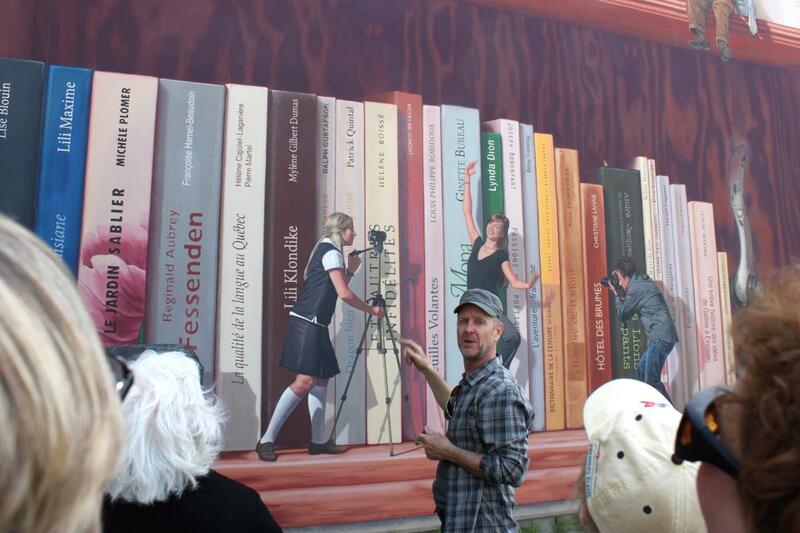 Malenfant, who led conference attendees on a personal tour of some of downtown Sherbrooke's most stunning murals, said that he was "pleased and honoured" that his organization was receiving this recognition.